Water Damage Cleanup | Mother nature provides us with a lot of beauty throughout the world. Flowing fountains, blue oceans, and luscious forests are just a few of the wonders that nature provides us. Unfortunately, along with the beauty also comes some discomfort. This discomfort often comes in the form of extreme weather that can wreak havoc on our homes and properties. These weather conditions often cause water to enter areas of our home and cause water damage. Here are some of the top ways that nature can cause water damage to your home. Excessive rainfall either rapidly or over a long period of time can cause a lot of damage. Extensive rainfall can cause your sump pump to stop working and flood your basement or above average rain can cause standing water in your yard to drain into areas of your home that are not properly sealed. Water from flood damage will typically require professional water damage clean up team. Hurricanes have been known to do extreme damage to home and properties. The strong winds can blow off a roof or break down a wall of your home. Once there is an entryway, water from the storm can invade your home and cause a lot of damage. Severe thunderstorms are another form of extreme weather that mother nature can unleash on your home and property. The scary part about severe thunderstorms is that they can occur anywhere. You do not have to be living near a body of water or in a low elevation area. They can come on quickly and cause a lot of damage. One example could be, a thunderstorm knocking a tree over into your home. Then with the damage to your roof and walls, you are susceptible to the rainwater coming in and causing more damage. If you have experienced any of these extreme weather patterns you may have needed help for the water damage clean up. For water damage clean up you should call the professionals at Service Master of Charleston. 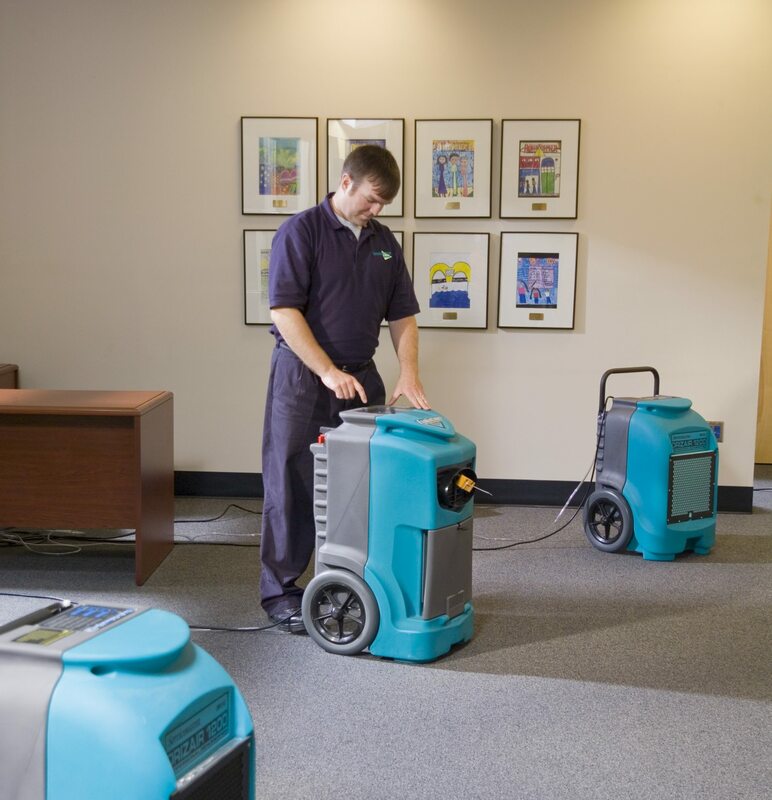 They provide a quality service and will make sure that any water damage is taken care of properly.